Well you may have seen this one coming but unfortunately yet another tipster has decided to call it quits before our trial has even finished. Yes last week we received an e-mail from Carlo saying it seems difficult to consistently make money with the BSP Tipster so was calling it a day. We had said this would be the “holy grail” of tipping if it had worked so a shame to see it giving up so soon after only being around 15 points down but there you are. So another service for the FAILED/DEFUNCT pile – which seems to be growing exponentially at the moment! The new tipster Carlo who has taken over at The BSP Tipster is finding it just as difficult to make a profit at Betfair SP as the previous one unfortunately, with a loss of 11 points so far. It is early day though with only just over a month of tips from Carlo, so plenty of time to turn things around and get into profit. After going 50 points down for our trial, the original tipster with The BSP Tipster (Gaz from the Bookies Enemy) has decided to fall on his sword and call it a day. However, a new tipster called Carlo who also specialises in betting at Betfair SP has stepped in and is now providing the tips. As for all intents and purposes this is a new service, we will be starting the trial again from when Carlo started providing the selections, which was on 20th December. On the results spreadsheet we have separated it into two tabs – “Carlo” and “Gaz” – so you can follow the new results from 20th December on the first tab (Carlo). The previous results from Gaz are also there for reference purposes on the second tab. So let’s see how the new tipster gets on. Making a profit at BSP is a challenge but it would be something of a holy grail if it could be done so let’s keep our fingers crossed. After a good start to our trial, unfortunately things have gone a little pear-shaped for The BSP Tipster, with 25 points lost over the last month. That puts them 14 points down for the trial overall. The nice thing about this service is that obviously all bets are at BSP so you know you can match the published results and it’s very quick to place the bets. It was always going to be a tough ask to make a profit at BSP but it’s still relatively early days with this one and plenty of time to turn things around. It’s been a good start to our trial of the BSP Tipster – the horse racing tipster who tips at Betfair SP so you know you can match their results. It is from the same tipster behind the very successful Bookies Enemy service. So far after just under a month of following the tips we are 11 points up. Tips are normally sent out around lunchtime the day of racing so with a couple of hours or more to get the bets on. But using BSP it takes very little time to place the bets which is good. It’s the age-old problem. You sign up to a tipster, do well for a while and all is rosy. Then one of the bookies sends you a curt e-mail telling you that your account has been restricted and you can only place minimal £1 or £2 bets. So you continue on with other bookies for a while, but eventually most of your accounts go the same way. Ultimately you decide you need a tipster that is profitable at Betfair SP, so you can rid yourselves of the bookies for good and just go about your business on the exchanges. Well if that scenario sounds like one you have encountered, then today we may have the answer for you. Yes, today we are going to start a trial of a tipster devoted to making a profit specifically at Betfair SP. The tipster in question is called – quite aptly – The BSP Tipster (BSP being short for Betfair SP of course). The beauty of BSP is that you can be sure everyone will achieve the same results as those published by the tipster. Plus it is quicker to place your bets as you don’t have to go around searching for the best prices, log in to various bookie websites and deposit funds into each one etc. Anyway, whilst we can go on and on extolling the virtues of betting at Betfair SP, the question still remains as to how good the tipster actually is. That is of course what we are here to find out, but the results achieved to date look very promising in any event. They have made over 60 points profit since May 2018 at a return on investment of 17% and and 28% strike rate, which are encouraging stats to have achieved all at BSP. The service comes from the same man behind The Bookies Enemy, one of the best services we have reviewed this year. with a profit of over £4,500 made to just £10 stakes since starting up, so it looks like we are in good hands with this one. Of course, you’re under no obligation to use these bets to Betfair SP and you can place the bets with any bookmaker you wish – perhaps BetVictor as they now guarantee to accept all bets to win £500. But there has been huge demand for a service to provide tips and record results at Betfair SP, and this is it. Plus the good news is that for the rest of September they’re running a Special Offer of 3 months for £29, whereas normally it’s £79 per 3 months. Just click on the banner at the top of the tipster page that has a countdown until the end of September. Anyway, without further ado we will get the trial underway and will aim to run our standard three month trial of this one. We will report back here on how things are going during the trial. 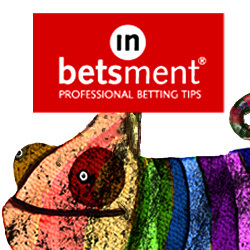 In the meantime you can check out The BSP Tipster here. We remarked the other day about sounding like a broken record regarding services closing down before we had even finished our review of them. Well today we sound even more like a broken record! Yes unfortunately we received an e-mail last Thursday from MK saying that he had decided to fall on his sword and close down the service as things had clearly gone wrong. Well to be fair things hadn’t gone that wrong as he was still 20 points up since July – many tipsters lose hundreds of points before considering closing their service. But sadly in the tipping world sometimes treading water is as bad as losing from the point of view of maintaining subscribers, so it is understandable if MK decided it wasn’t worth continuing. Either way it’s another service on the scrapheap unfortunately and we are getting to the point where we will be glad just to complete a review at the moment! It’s been a solid start to our trial of MK Horse Racing Tips. So far after one month of our trial they are 4 points up at advised prices. Interestingly they are doing better at Betfair SP than at advised prices so far, with a profit of 22 points made at BSP. You don’t see that very often so will be interesting to find out whether it persists for the remainder of our trial. A good start though anyway and let’s hope it continues. Today we are starting a trial of a horse racing tipster with a bit of a twist. This tipster bets not just on singles on the horses but also does doubles, trebles and 4-folds. They are called MK Horse Racing Tips and come from the Betting Gods network of tipsters. Results so far look pretty decent, with over 57 points profit made to a return on investment of 22% and a strike rate of 26% since starting tipping back in July. That equates to over £114 per month profit on average to £10 stakes and bank growth of over 75%. So it looks like a promising service, plus it has the added bonus of potentially winning big if one of their multiples comes in! Hopefully it will still be profitable just on the basis of the single bets but we will see. We will run our normal three month trial and will report back soon on how things are going. In the meantime you can check out MK Horse Racing Tips here. At the start of this trial we were excited that we may have found the “holy grail” of horse racing services – something that was consistently profitable at Betfair SP. Certainly the results published prior to our trial suggested that was the case, with over 3,000 points profit made to BSP according to the Tipster Street website. Sadly though our trial of Racing Exchange ended up dashing those hopes, with a loss of 122 points made over the course of our three month review. With a return on investment of -10% and a loss of nearly a quarter of the bank (or half of the original bank advised), it is rather stating the obvious to say this was a very tough trial. As you can see below, it went into loss straight away and never recovered, despite a small rally towards the end. So there isn’t much to say other than this receives a FAILED rating and our elusive search for a tipster who can consistently generate a profit at Betfair SP continues. Ease of use: A high-volume service with around 13 bets per day on average, although the good news is you can place all the bets at Betfair SP which means a lot less time spent than placing the bets at the bookies. Bets are normally sent out in the morning at around 9-10am UK time. Availability of prices: No issue on this one as all bets can be placed at Betfair SP. Strike rate: The strike rate for the trial was 20%, which is a little on the low side and would mean a degree of patience is required for following this service. Advised Betting Bank: A 500 point betting bank is now advised for following the service, which has increased from the 250 point bank that was advised when we started our review. Given the results we think that is a sensible move. Subscription costs: The subscription costs are £9.99 for the first month then £19.95 per month after that. Unfortunately it was a very tough trial for Racing Exchange with a loss of 122 points made. With results like those it is perhaps no surprise that this receives a FAILED rating from us. More losses unfortunately for Racing Exchange, although at least they weren’t as severe this time compared to our previous update. Since our last update they have lost a further 9 points, putting them 157 points down for our trial overall. It will need something pretty spectacular to turn this around given the losses accrued to date. It’s another example though of why it’s a good idea to wait and see how something performs under a live trial before risking your own money on it. Certainly it would have been pretty painful if you had risked your own money on this so far. Call it what you will – sod’s law, the reviewer’s curse – but unfortunately our trial of Racing Exchange has got off to a disastrous start. So far after just under a month, they are 148 points down. One thing we can say is that at least they advise a reasonably-sized bank at 250 points, so the bank has not been wiped out yet. Certainly though this is a lot worse than we were expecting, with their previous worst month prior to our trial losing just 12 points. We had high hopes for this one with supposed profits of 3,000 points coming into our trial, but sadly so far it is not living up to those expectations. Many people would have given up by now (and understandably so) but we will continue our trial for the full three months – or until the bank is wiped out if that ends up happening. One of the perks of running a review site like this is that we get contacted about all manner of interesting and innovative new betting systems and strategies. A lot of the time these come with lots of hype but turn out to be a load of rubbish, whilst some are so obviously scams they aren’t even worth taking seriously. But occasionally something lands in our inbox that looks truly exciting. And we have just received one such e-mail this week. It concerns a new betting service called Racing Exchange that boasts what are some of the best results we have ever seen. Since early last year they have made a phenomenal 3,000 points profit to 1 point level stakes. That would be an amazing £30,000 profit to £10 stakes or £15,000 to just £5 stakes. That has been achieved with a solid strike rate of 22% and an almost unheard of ROI of 68%. On a monthly basis that would work out at an average of over £1,400 per month profit to just £10 stakes, which is an outstanding return. Not only that, but the results are all at Betfair SP! Yes that’s right, you don’t even need bookie accounts to follow the service. Really the results are quite amazing and they are on the borderline of being too good to be true to be honest. However, the service is run out of the Tipster Street stable of tipsters who say they have proofed the results since early last year. We know the Tipster Street team and have always found them to be honest so we don’t doubt the published results and what they say. Of course we don’t just take their word for it though – that is why we are here, to test these systems out and see if they live up to expectations. So we will run a live trial of Racing Exchange and see if they can replicate the phenomenal results published on the website for the last 20 months or so. Looking at the results, it is interesting that they have an incredible record backing horses over 100/1, with over 1500 of their points coming from those, including one at over 800/1! Those at smaller prices are also profitable though, so it is not just a question of them having picked a few lucky long-shots. In any event, this does look very promising so we can’t wait to see how they get on under live conditions. So please check back here for regular results update on how the trial is going if you are also interested in finding out. In the meantime you can check out Racing Exchange for yourself here. Centaur Planet is a horse racing tipster from the BetInfo24 stable of tipsters and the service had won their tipping competition a number of times. Coming into our trial their results looked promising, with 75 points profit made at a return on investment of 19% and a strike rate of 17%. However, sadly this was one of those trials where everything that could go wrong did go wrong. They ended our three month trial 57 points down, which actually meant losing the entire advised 50 point betting bank. In these circumstances we have no choice but to award the service a FAILED rating unfortunately. It is another example of how difficult this tipping game is and that things can go badly wrong at times despite the best of intentions. Ease of use: A pretty simple service to follow with an average of around two bets per day, normally sent out late at night for the next day’s racing. Availability of prices: There was not much of a problem in getting the advised prices and the Betfair SP results ended up pretty similar to the advised price results, with just 3 points difference between them. Strike rate: The strike rate for the trial was 15%, which was actually only slightly below the long term average of 17%, but even so the service still struggled badly during our trial. Advised Betting Bank: A 50 point betting bank is advised for following the service, which clearly was not enough and was more than wiped out. It is another example of an insufficient betting bank being advised, which we see quite often unfortunately. A 100 point bank should be advised as a minimum. Subscription costs: The subscription costs are £1 for the first 7 days then £28.99/month, £69.99/quarter or £189.99/year. For horse racing tipster Centaur Planet it was something of a nightmare trial, with 57 points lost and a complete bank wipeout. Unsurprisingly it is therefore a FAILED rating for them on this occasion and one we will be giving a miss. Just shows once again how hard the tipping game is and that only a select few can make it work long-term. The tough times continue unfortunately for Centaur Planet Racing Tips, with another 12 points lost at advised prices since our last update. That means they are now 30 points down at advised prices for the trial overall. At Betfair SP it’s a similar story with another 9 points lost since our last update and 33 points lost for the trial overall. Could do with a few big winners to turn things around and get back on track here. It’s been a tough start to our trial of Centaur Planet Racing Tips from the Bet Info 24 tipster stable, with 18 points lost so far at advised prices after one month of our trial. It’s a similar story at Betfair SP too, with 24 points lost so far. Let’s hope things have turned around for them by the time of our next update. After having recently started a trial of a new horse racing tipster called the VIP Service from the BetInfo24 tipster stable, we are going to take a look at another promising tipster from that stable. This one is called Centaur Planet Racing and has been providing tips since December 2017. This tipster has won BetInfo24’s tipping competition a number of times and continues to prove himself as a professional horse racing tipster and leading expert in the industry. To date they have managed over 75 points profit at a return on investment of 19% and a strike rate of 17%. That has equated to an average payout of £354 per month, which is not a bad little extra income. There are around 3 tips per day on average, so a pretty manageable workload. This looks like a promising tipster and we are looking forward to see how it gets on during our trial. So on that note, we will kick things off on a three month trial. We have actually been receiving tips for over a week so will record results from when we started receiving tips. You can check out Centaur Planet Racing here. Well this is something we seem to say quite often these days, but unfortunately another tipster has given up the ghost before our review of them has even been completed. At the time they were 75 points down for September and nearly 100 points down for our trial before that, so it wasn’t that much of a surprise to be honest. In some ways though we think it’s a shame that some tipsters don’t stick at it longer and see if they can turn things around – after all it’s the long term that matters and in the case of JB Racing Tips he may well have still finished the year well in profit. But that is the nature of the tipping game sadly. There are so many out there willing to have a go that if you don’t succeed almost immediately out the gate then you won’t survive. So it’s another FAILED rating unfortunately and another service to add to the defunct/no longer in operation pile…a pile that is getting quite big now! More losses unfortunately for JB Racing Tips since our last update, with 19 points lost at advised prices over the last three weeks. That means they are now 92 points down for our trial overall. At Betfair SP there has been something of an improvement, with a profit of 34 points made since our last update. Sadly though that still leaves them 109 points down for the trial overall at Betfair SP. As we have mentioned before, staking is high here with an average of 5 points per bet, so that tends to inflate the results and should be borne in mind when looking at the figures. It’s been a rough time lately for JB Racing Tips, with 93 points lost at advised prices since our last update. That means they are now 73 points down at advised prices for our trial overall. At Betfair SP it has been even worse, with 96 points lost since our last update and 143 points lost for our trial overall. As we mentioned during our last update, the results are exaggerated by the fact that the average stake is 5 points per bet. We don’t really know why services use staking like this (other than to inflate results) and really if your staking is generally level then why not just use 1 point each-way? Anyway, whichever way you spin it this has been a disappointing trial so far and is in need of a turnaround in form quickly. It’s been a solid start to our trial of JB Racing Tips, with 20 points profit made so far after just over a month. It’s a different story at Betfair SP however, with a loss of 47 points having been made so far. One of the things to note about this service is that the average stake per bet is 5 points (usually 2.5pts e/w), so that exaggerates everything. At 1 point level stakes they would approximately 4 points up at advised prices and 10 points down at BSP. Whilst obviously a much smaller gap, that is still quite a difference between the advised prices and BSP and is something we will keep an eye on going forward. How would you fancy making £800 per month profit from following a tipster with just £10 per point stakes? Well that is the strapline of the latest horse racing tipster we are going to take a look at here at Honest Betting Reviews. The tipster in question is called JB Racing and they hail from the renowned Betting Gods stable of tipsters. So just how have they managed to achieve such spectacular results? Well, not much is given away about ole’ JB, but apparently he is an experienced pro horse racing better who has been finding winners at high odds for a number of years. Certainly the results so far look very impressive, with over 500 points profit made in just seven months of tipping. The return on investment looks strong too at over 25% and the strike rate isn’t too shabby either considering the service targets higher-odds selections, registering at 26%. Even with a 200 point bank, the tips would have made your bank grow by 280% since the service started, so nearly a quadrupling. All in all it looks like a fairly awesome service, although it must be stressed it’s still relatively early days with tips having only been provided to Betting Gods since November 2017. As ever the proof of the pudding will be in the eating, but it’s good to see Betting Gods have uncovered another promising tipster and let’s hope they turn out to be as impressive as the likes of Master Racing Tipster and Rod’s Runners. So will commence a trial of JB’s tips and will report back soon on how things are going. In the meantime you can check out JB Racing here. Racing Methodology is a horse racing tipster from the Tipster Street stable of tipsters. They take an unusual approach to betting by focusing on the place market on Betfair. Instead of backing standard each-way bets, they place 1 point on the win and 2 on the place on Betfair. Taking that approach should ensure a higher strike rate and be a little safer than just backing to win or even just normal each-way bets, protecting the bank in the process. Unfortunately though during our trial things didn’t quite turn out that way, with a loss of 25 points being made. With a recommended betting bank of 200 points, that translated to just a 13% loss of the bank, which isn’t the end of the world by any means. But a loss is still a loss so unfortunately it means a FAILED rating from us for Racing Methodology. Of course we may have just caught the service at a bad time so will continue monitoring things to see if results pick up. Ease of use: There are an average of just two bets per day, making it a fairly straightforward service to follow. Availability of prices: All bets are placed at Betfair so there’s no need to worry about restricted bookie accounts. And the Betfair SP results were the same as the advised prices, so you can just use BSP if you like. Strike rate: The strike rate for the trial was 26% including placed horses, which isn’t bad but ideally we would have liked to see it a little higher. Advised Betting Bank: A 200 point bank is advised for following the service, which seems reasonable to us and should be comfortable for following the service. Subscription costs: The subscription costs are reasonable at £4.99 for the first month then £19.95 per month or £29.95 per quarter. Racing Methodology takes an unusual approach to betting by focusing on the place market on Betfair, whilst also backing selections to win. Unfortunately it had a tough trial, finishing with a loss of 25 points. Whilst that wasn’t a disaster, it was a little disappointing so it’s a FAILED rating from us. We will keep an eye things though over the coming months to see if the results improve. There has been a small drop for Racing Methodology since our last update a month ago, with 10 points lost at advised prices in that time. That puts them on 11 points down for the trial overall at advised prices. At Betfair SP there has been a slightly bigger drop, with 17 points lost since our last update and 10 points lost for the trial overall. They take an interesting approach to staking, with each horse backed 1 point to win and 2 points to place, so it’s somewhat of a protective approach that should help to preserve the bank. So far it has been working too well but there is still time to turn things round. It continues to be a quiet time for horse racing tipster Racing Methodology, with just 1 point of profit at advised prices since our last update. That means they are now 1 point down for the trial overall at advised prices. This is one of those rare occasions when the Betfair SP results are ahead of those at advised prices, with the BSP results having added two points profit since our last update to sit at 7 points up overall. Let’s hope we have some more exciting news to report for Racing Methodology at our next update. It’s been a quiet start to our trial of Racing Methodology from the Tipster Street stable, with just 2 points lost so far at advised prices after three weeks of the trial. At Betfair SP they are actually in profit so far, five points to be precise, which is good to see. Anyway, a solid start so far and hopefully we will see things pick up now we are in the main flat season. Today we are starting a new trial of a horse racing tipster from the Tipster Street stable of tipsters. The service in question is called Racing Methodology and it utilises an interesting approach to backing on the horses. Rather than just backing to win (or even each-way), it backs 3 points on each selection – 1 to win and 2 points to place. Using the place market should improve the strike rate and ensure the losing runs are shorter, giving greater stability to the service. All bets are placed on Betfair, which as our long-term followers will know we are always keen on because it means you should be able to match the results claimed. And talking about those results, they look pretty decent too. The service has been running for over four years now and in that time has amassed close to 350 points profit in that time. Each year so far has been profitable which is encouraging to see, with the best year being 2014 with 169 points profit. There are an average of two bets per day, so the service looks very manageable. It feels like a good time to be starting a new trial of a horse racing tipster with the flat season just getting underway. Without further ado then we will kick off the trial of Racing Methodology and will report back here soon on how things are going. In the meantime you can check out Racing Methodology here. Racing Goldmine is a horse racing tipster that takes quite an unusual approach to their betting. Basically they tend to provide multiple selections in the same race – or in other words are “dutching” in betting parlance. The idea is that you are hedging your bets and covering multiple angles for how the race may pan out. The results coming into our trial looked outstanding so we were cautiously optimistic that the people behind the service had found a new profitable angle for betting on the horses. Unfortunately though, things did not turn out well under the spotlight of a live trial and we ended up 57 points down at advised prices and 75 points down at Betfair SP. At advised prices, that represented a return on investment of -7% and a 57% loss of the bank, which are fairly disappointing figures. As always, it could be that we just caught the service at a bad time but really we were hoping for better than that and we feel we have no alternative but to award it a FAILED rating based on the results of our trial. It is one to avoid for the time being and is not one we will be adding to our portfolio. Ease of use: The bet volume is high with around 10 bets per day, which are sent out the evening before racing, so there is quite a bit of work involved in the following the service. Availability of prices: We did not experience any problems in terms of obtaining the advised prices. Strike rate: The strike rate during the trial was quite low at 13% so there will be drawdowns encountered with this tipster. Advised Betting Bank: We used a 100 point bank for the service but a larger bank of up to 150 points could be used for added safety. Subscription costs: The subscription costs are £57 per month or £114 per quarter which are quite high given the results achieved during our trial. We had high hopes for Racing Goldmine coming into our trial but sadly it ended up disappointing with a loss of 57 points at advised prices. This isn’t a service we will be following and it receives a FAILED rating from us. A bit of an improvement for Racing Goldmine since our last update, with 10 points profit made. That means we are now 6 points up for the trial as a whole. At Betfair there has also been a slight improvement, with 11 points profit made since our last update. However, we are still 39 points down at Betfair SP for the trial overall, so it is looking questionable as to whether the service is practical to follow at Betfair SP. Things have gone south for Racing Goldmine since our last update a month ago, with 21 points lost in that time to advised prices. That means overall we are now 6 points down for the trial so far. At Betfair SP we have seen things take a more severe nosedive, with 50 points lost since our last update and 42 points lost overall. So far Racing Goldmine isn’t living up to the results published on their website prior to our trial starting, which if you remember showed an astonishing profit of over 1300 points since April. Anyway, we only around half way through the trial, so plenty of time for results to pick up. We will be back soon with more updates. It has been solid start to our trial of Racing Goldmine, whilst not quite matching the amazing results published for the period prior to our trial. So far to advised prices we are 15 points up after three weeks. At Betfair SP we are 8 points up, which isn’t bad either. There are a large volume of bets with this service, although a lot of them are in the same races. So you will be backing 3 or 4 horses in the same race, which is quite an unusual approach. However, so far it is working well so we can’t have any complaints really. Today we are commencing a new trial of a very promising horse racing service called Racing Goldmine. To say this has some of the best results we have ever seen from a horse racing tipster would be an understatement. These results are positively mind-blowing! Since starting proofing to Bet Kudos in April 2017, the service has made an astonishing 1380 points profit to advised prices. That would be £13,800 profit to just £10 per point in only 6 months! And that is to 1 point level stakes. So no crazy staking system to inflate results, just simple 1 point stakes on every bet. The return on investment is a ridiculous 160%. Nuts. Just nuts. Even the strike rate is pretty good at 35%, so a decent proportion of winners. Now having seen those results, our initial worry was that they would all be predicated on getting early prices and that by the time the races come round, the value would be all gone and those without bookie accounts wouldn’t be able to follow the service. But get this – the Betfair SP results are an amazing 1144 points profit too! So hugely profitable by using Betfair as well. There isn’t much given away on the sales page as to how selections are chosen and all we can glean is that it involves backing more than one horse in each race and the service is run by a guy called Richard Man. We have been advised to use a 200 point bank when following the service, which for once seems like a more than adequate bank given the 1 point stakes and 35% strike rate. So we are very excited to get the trial underway and to see if results can come anywhere close to those published on the Bet Kudos website. If they can then we will be onto something very special here indeed! We will update results here regularly during the trial so you can see how the service is progressing. In the meantime you can check out Racing Goldmine here. Robert Fraser’s Racing tips is a straightforward horse racing tipping service from the reputable Betting Gods tipster network. It is one of the very few services that tips at Betfair SP, meaning the results are obtainable for everyone with access to Betfair and for those in countries that don’t have access, you may well be able to beat the results by using a range of bookies. As the ability to make a profit at Betfair SP is such a sought-after commodity, we thought it would be worth doing an extended six-month trial here to see if Robert Fraser could manage to crack it. Unfortunately though even with the extended period to overcome the temporary ups and downs you often see with tipsters, we didn’t end up generating a profit and finished 30 points down for the trial. You can see how the trial went in the graph below. That worked out as a return on investment of -5% and a 20% loss of the bank, which are disappointing figures. Overall then we feel the only fair verdict here is a FAILED rating and this is not a service we will be adding to our portfolio at the current time. Ease of use: With an average of just two bets per day and all placed at Betfair SP, it is one of the easiest horse racing services you will find to follow. Availability of prices: As we say, with bets placed at Betfair SP there is no problem with price availability and you may even be able to beat the advertised results with a little work. Strike rate: The strike rate during the trial was 22%, which is somewhat below where it needed to be to generate a profit at the prices tipped at. Advised Betting Bank: A 150 point bank is advised for following the service which seems about right to us. We had lost about 50% of our bank at the low point of the trial but recovered in the latter part. Subscription costs: The subscription fees are £1 for the first 30 days then £49.95 per month, £119.95 per quarter or £599.95 for lifetime. Making a profit at Betfair SP is kind of the holy grail for horse racing tipsters as it would mean a service is practical for everyone to follow and make some money from. We gave Robert Fraser’s Racing Tips an extended six month trial to see if it could deliver that holy grail but sadly it ended up falling short, finishing 30 points down in the end. With that representing a 20% loss of the bank, we feel we have no choice but to give this a FAILED rating based on those results and it is not a service we can recommend at this time. However, there is better news for Robert’s tennis tipping service which we will be finishing our review of shortly, so watch out for that. It’s been an excellent turnaround for Robert Fraser’s Racing Tips, which were 73 points down at the time of our last update. We are pleased to report they are now just 8 points down, so a huge improvement of 65 points since our last update. Just a reminder that this service tips at Betfair SP, so there is obviously no need to record those results separately. Let’s hope the recent recovery in form can continue for Robert. It has been a complete nightmare lately for Robert Fraser’s Racing Tips, which have lost a whopping 78 points since our last update just over a month ago. That means we are now 73 points down for the trial overall, a pretty woeful position. This has just been one of those situations where everything that can go wrong has gone wrong. The service started with high hopes and a lot of hullabaloo, but sadly so far it has failed to live up to those high expectations. We will follow this for a little longer, but barring a spectacular turnaround, unfortunately it looks like it is heading for the failed pile. There has been a good turnaround for Robert Fraser’s Racing Tips, with 32 points profit made since our last update. That means we are 5 points up for the trial overall. Just a reminder that this service tips at Betfair SP, so the results are that much more impressive than most other services which use early bookies’ prices. Not long left in the trial now so lets hope for a big finish from Robert. A small improvement for Robert Fraser’s Racing Tips since our last update a month ago, with 4 points profit made. Unfortunately though we are still 27 points down for the trial overall. Just a reminder that this is a service that backs at Betfair SP only so it is always going to be tougher to make a profit doing that than taking best prices from the bookies. A month to go in our trial so hopefully enough time for Robert to turn things around. It has been a tough time for Robert Fraser’s Racing Tips since our last update a couple of weeks ago, with 31 points having been lost in that time. That means we are also 31 points down for the trial overall. These results seem to track the general trend at the moment in that a lot of tipsters seem to be having a tough time. It could be due it being early in the season and form hasn’t settled down yet, with changeable ground also adding to the difficulties. Whatever the cause though, let’s hope things pick up for Robert and the other tipsters soon. It has been a fairly uneventful start to our trial of Robert Fraser’s Racing Tips, with 0.3 points of profit made so far. Basically then we are at the same point as where we started a couple of weeks ago. Just to recap that this is a service which uses Betfair SP for all tips, so you know you can match the published results and if this does well, then we may have found the holy grail of horse racing tipping – something that makes a profit at Betfair SP! Anyway, a quiet start so far but very early days so plenty of time to step things up. For many people it is the holy grail of betting: finding a strategy that works at Betfair SP. So many of us have lost our accounts with the bookmakers and now have to turn to the exchanges to try and find some profit. However, so many betting systems and strategies rely on use of the bookies and simply do not work at Betfair SP. Well, today we are hoping that we may have found the answer. It comes in the form of a horse racing tipster called Robert Fraser from the reputable Betting Gods network of tipsters. He bets entirely at Betfair SP and records his results as such, so there is no worrying about whether you will be able to match the advised prices etc. Robert’s results so far are pretty formidable, with 140 points profit made in just over 3 months of tipping. That’s £1,400 to just £10 stakes. That has been achieved with a very healthy strike rate of over 40% – meaning lots of winners – and an excellent return on investment of 64%. It is quite a selective service, with generally just 1 or 2 bets per day, so a very manageable service to follow. It is obviously early days with the service after only three months, but that is why we are keen to start a live trial here at Honest Betting Reviews and see if those results can be maintained in the longer term. If they do, then as we say, this may well be that holy grail of betting: something that is profitable at Betfair SP! You can check out Robert Fraser’s Racing Tips here. After having given horse racing tipster Carl Nicholson’s main Racing Diary service a positive review, we were eager to test out his other service, Stable Whispers. Stable Whispers is a service that focuses on information received from stables about horses expected to go well. Prior to our trial, it had apparently amassed a healthy 60 points profit for the year. Sadly though during our four month trial almost all those profits were wiped out, with a loss of 47 points being made to advised prices. That equated to a 97% loss of the recommended 50 point bank, pretty shocking stuff. At Betfair SP the results were even worse, with a 66 point loss being made – so the whole bank would have been wiped out! Overall then we have no choice but to award Stable Whispers a FAILED rating with such large losses having been made. Ease of use: There is an average of just one bet per day, so the workload is extremely low with this service. Availability of prices: The prices weren’t overly under pressure from when the tips were released, although the occasional selection would get smashed in by the off time. Best to get your bets on the evening before in any event. Strike rate: The strike rate for the trial was a lowly 11%, well below what it needs to be for the service to turn a profit. Advised Betting Bank: A 50 point bank is advised for following the service, which clearly is not enough given that we suffered a 47 point loss during the trial. We believe a 100 point bank should be advised. Subscription costs: The subscription costs are £34.98 per month, which includes Stable Whispers and Carl’s main service, the Racing Diary. Sadly Carl Nicholson’s Racing Diary has had a horror trial, racking up a loss of 47 points to advised prices. It could be that we just hit the service at a bad time, but any tipster who loses 97% of their advised betting bank is going to have a tough time convincing followers to stay with them. There has been a small improvement for Carl Nicholson’s Stable Whispers since our last update, with 6 points profit made at advised prices. Sadly though, we are still 28 points down at advised prices for the trial overall, so plenty more lost ground still needs to be made up. At Betfair SP, it is a slightly worse story, with 3 points profit made since our last update but we are still 46 points down for the trial overall. The tough run continues for Carl Nicholson’s Stable Whispers, with another 17 points lost since our last update three weeks ago. That means Carl is now 34 points down for the trial overall to advised prices. At Betfair SP, another 20 points has been lost, putting Carl 49 points down overall. Let’s hope for some big winners over the final months of the trial. A tough run so far for Carl Nicholson’s Stable Whispers, which have lost another 9 points at advised prices since our last update at the end of May. That means they are now 17 points down for the trial overall at advised prices. At Betfair SP it has been worse, with a further 17 points lost since our last update and 29 points lost overall. We are less than half way through the trial though, so plenty of time to turn things around. It has been a little bit of a slow start to our trial of Carl Nicholson’s Stable Whispers, which is 8 points down so far to advised prices. At Betfair SP we are 12 points down so far. Just a reminder, this is a sister service to Carl Nicholson’s Racing Diary, which is his main service and which we reviewed just recently. Early days then for this and plenty of time to get into profit. Hot on the heels of just completing our successful trial of Carl Nicholson’s Racing Diary service, we are now following that up with a new trial of his other offering, his Stable Whispers service. Just to recap in case you missed our previous trial, Carl Nicholson is a maths and computer science graduate from Harvard University in the USA. He also worked for the Daily Racing Form in America and has written a book on his method of finding value selections. Carl’s Racing Diary service performed very well during our trial, notching up 45 points of profit at a return on investment of 29%. With such impressive results, we thought we just had to follow it up with a trial of his other service, Stable Whispers. This is a newer service which Carl just started up in late 2016 but in a short time has built up an strong-looking set of results, notching up 61 points profit so far in 2017. That equates to £1,534 to £25 stakes, a nice little bonus if you combine it with the £1,281 made with the main Racing Diary selections. Basically the Stable Whispers service consists of selections that have come in from Carl’s network of contacts around the country. He apparently gets a lot of ‘news’ each day, and spends his mornings checking out the viability of that info and the best news goes to his Stable Whispers members. That info looks to be pretty sound so far based on what is published on the website. Certainly if it turns out to be as good as the main service, then we have found two little gems rolled into one! The Stable Whispers service is only available as an add-on to Racing Diary service, but you can get them combined for a reasonable price of £34.98 per month. We will run a standard three month trial of Stable Whispers and will report back soon on how things are going. In the meantime you can check out Carl Nicholson’s Stable Whispers here.